Our postgraduate courses are informed by professional practice and industry-leading research. You’ll develop your real-world subject knowledge and professional skills through our contemporary course content. You’ll be taught by international academics and expert practitioners who bring their experience and their impressive networks. You’ll get valuable experience using industry standard facilities and then you’ll apply your knowledge to work-based problems. We support and encourage your entrepreneurial talent and business ideas. 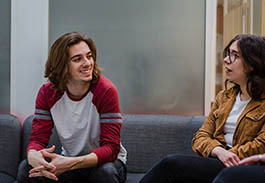 Our single-site campus in north London is an exceptional place for postgraduate study. We’ve invested more than £200 million in facilities and equipment including a purpose-built centre for art, design, media and performing arts students, as well as dedicated labs and studios for those studying science, technology and health courses. Our 24/7 libraries have flexible spaces for private and group study and there are plenty of social spaces to meet with lecturers and friends. We're a short walk from Hendon Central Underground station in Zone 3, the overground rail station and 24-hour buses getting you to central London in half an hour. We're proud to be recognised for what we do around the world. That's important to us because we know that excellent teaching and research are essential for your postgraduate learning experience. Our high-quality teaching has been rewarded with a Silver in the first Teaching Excellence Framework awards. 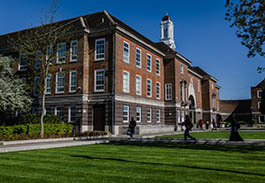 Our award recognised how we value and support teaching at Middlesex and our commitment to involving you, as a student, in your teaching and learning experience. We are one of the top 500 universities in the world in the Times Higher Education World University Rankings. Our innovative research drives positive change in the world and makes an impact on business and society. 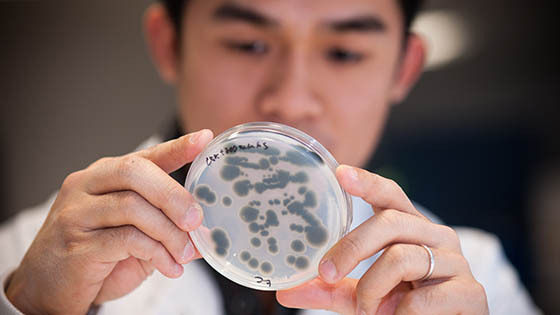 You’ll join a collaborative research community where you’ll work alongside international academics and students across disciplines to find creative and innovative ways to solve real-life and work-based problems. Postgraduate study at Middlesex develops your critical thinking and inspires you to push boundaries in your research area. 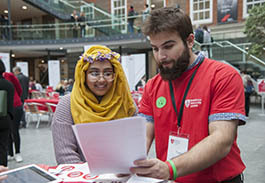 We are an international community of students, academics and partners with 145 nationalities represented on our London and international campuses. When you study with us, you'll build academic, professional and personal networks without borders. When you graduate, you’ll become part of a global alumni network. We have a worldwide outlook that prepares you for a global working environment.